Eythor Gunnarsson (Icelandic spelling: Eyþór Gunnarsson) was a teenager and already a gifted pianist in 1977, when he teamed up with a bunch of fellow musicians from his home town of Reykjavik. The mission four young men chose to accept was to found a band, Mezzoforte. It was the late 1970-s, the age of quality music, and the time when gifted young musicians, mostly guys, wanted to deliver. They did. 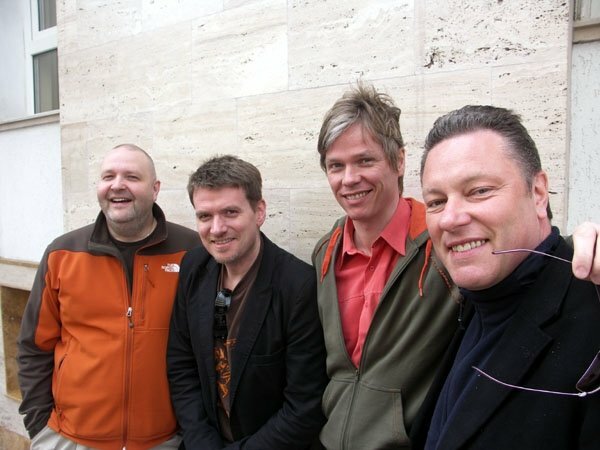 Eythor Gunnarsson (keyboards), Johann Asmundsson (bass), Fridrik Karlsson (guitar) and Gulli Briem (drums) wrote music history. 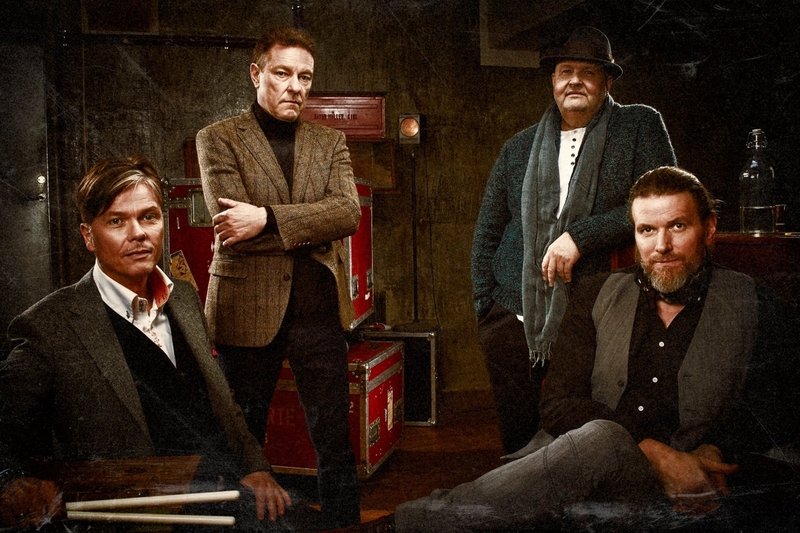 First of all, they became the first Jazz-Funk act from their tiny nation of Iceland with 350,000 inhabitants. Secondly, they scored a big hit in 1983. It was entitled ‘Garden Party’. Thirdly, they became one of the few acts which managed to get an instrumental tune into the charts. ‘Garden Party’ ended up in the Dutch Top 10, in the United Kingdom they hit the 17th place of the national Pop charts and in Germany place number 36. All of a sudden, the four Mezzoforte guys were superstars. When they flew out of Reykjavik Airport, in order to take their Icelandic Jazz-Funk to the world, proud pilots announced their presence aboard, through the intercom. The story is ongoing, 42 years and twelve studio albums later. So is the ‘Garden Party’. And, even better, Mezzoforte is about to tour Europe in spring and winter of 2019. They will be in Mallorca, Madrid, Hengelo (NL), Alkmaar (NL), Zoetermeer (NL) Prague, Stockholm, Rödovre (DK), Sönderborg (DK) and Holbæk (DK). And they will be in Germany. Two Hanover gigs in early May are being confirmed right now. On May 5th, Mezzoforte will be burning down the house at the Quasimodo in Berlin. Their Bonn gig will take place on May 6th. The Berlin Spectator: It all started in 1977, 42 years ago. Do you think we are all getting old? No, right? Eyþór Gunnarsson: Well, I’ve never been older than I am today. And that’s ok with me. The main thing is to look forward and I try to do that. The Berlin Spectator: There is ‘Samba Pa Ti’ by Santana, ‘Morning Dance’ by Spyro Gyra, ‘Rise’ by Herb Alpert, the ‘Love Theme’ by the late Barry White’s Love Unlimited and there is your hit ‘Garden Party’. What these tunes have in common is that they are instrumentals which made it into the charts. How did you do it? Eyþór Gunnarsson: There is no fail-safe formula that I am aware of. Regarding the tunes you mentioned: We covered the first three of them when we started out. All of them have two key ingredients in common. Those are a strong melody and a good groove, played with conviction and urgency. Those elements are something we absorbed through all the great music we were listening to as teenagers. It has stuck with us. The Berlin Spectator: Would it be possible to push an instrumental Jazz-Funk tune into the charts today? Eyþór Gunnarsson: I don’t know. It would be as much of a coincidence today as it was back in the 1980s. The song would probably have to contain elements which are popular in the current mainstream, just as our song and the other handful of instrumental hits did. The music business has obviously changed a lot and the procedures for releasing and promoting music which were familiar to our generation no longer exist. Even ‘the charts’ don’t exist in the sense they once did because everything has become so compartmentalized. It would be easy for me to focus on the negative aspects of the way things have evolved but I choose to stay positive. There is a lot of good music being made today and it is accessible to everyone all the time. You just have to make an effort to look for it because the mainstream is probably not going to present it to you. I believe that quality will always find an audience, although mass popularity will be as hard as ever to reach if your music is purely instrumental. The Berlin Spectator: You were teenagers when it all started, 42 years ago. Today, you are still together doing gigs in Scandinavia, Germany, Eastern Europe, your home country Iceland and elsewhere. How did you guys manage to stay together for this long? Did the four of you build your lives around Mezzoforte? Eyþór Gunnarsson: At first, Mezzoforte was our hobby for a few years, and then our main ‘job’ for a number of years after that. Our success in 1983 had a huge impact on our lives. It gave us the opportunity to travel the world and play our music in front of grateful audiences. What more can a musician ask for? Although the band is no longer a full time gig for any of us, it is still this unique thing which we created together and we still enjoy being on stage together. There is a positive vibe in the music which makes us feel good playing it, and I guess that transmits to the audience. That’s why we are still touring whenever possible. The Berlin Spectator: You have a good fan base, especially in Europe. These people love your signature sound. What kind of people do you meet in your audiences? Do they all have grey beards like us? 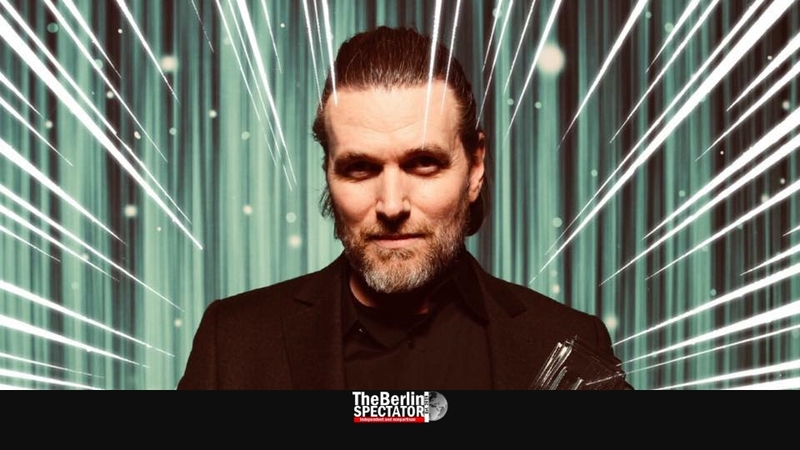 Eyþór Gunnarsson: The majority of the audience are usually fans from the ‘golden years’ but I am happy to say that we see quite a few younger people and we still hear from people who have recently discovered our music. 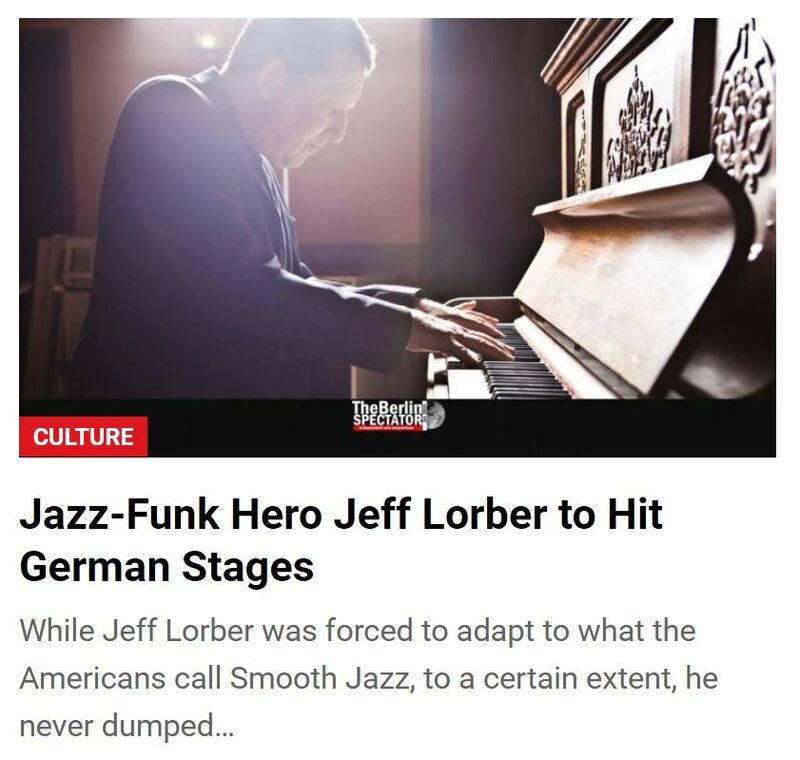 The Berlin Spectator: When you founded Mezzoforte, Return to Forever had already recorded ‘Romantic Warrior’. Other artists, for instance George Duke, Roy Ayers or Maurice White were about to record their most brilliant albums in 1979. Were they your main influence? Or who was? Eyþór Gunnarsson: Earth, Wind & Fire and George Duke are definitely among our most important influences. Return to Forever and Weather Report too, even though this may not always be as obvious. There was a lot of good music in those days. I can name a few other artists who come to mind: George Benson, Bob James, Herbie Hancock, Al Jarreau, The Pat Metheny Group, The Brecker Brothers, Steps, Quincy Jones, Steely Dan, Spyro Gyra, Jeff Lorber, Grover Washington, Lee Ritenour, Larry Carlton. The list goes on and on. The Berlin Spectator: What do you do when you are not touring with Mezzoforte? What kind of projects are you working on? Eyþór Gunnarsson: I am known as a bit of a jack of all trades in the Icelandic music scene which is small but very diverse. I play keyboards and synth bass with the Jazz group Annes, I play quite a lot of acoustic Jazz, I am often a sideman or musical director for some of the leading local Pop, Rock and Folk musicians in Iceland, both on stage and in the studio. The other members of Mezzoforte are also active in various corners of the Icelandic music scene. The Berlin Spectator: You will be hitting a stage in Berlin soon. Which guest musicians will be joining Mezzoforte this time around? Eyþór Gunnarsson: In addition to all four founding members we will feature the Swedish saxophonist Jonas Wall and the Icelandic trumpet player Ari Bragi Kárason. The Berlin Spectator: What does Berlin mean to you personally? What kind of Berlin memories do you have? Eyþór Gunnarsson: We first came to Berlin in 1983, driving through the ‘corridor’, as it was called. I remember the border controls. They are as memorable as Checkpoint Charly, with armed guards on both sides. It all seems such a short time ago. We played at a place called ‘Quartier Latin’ and I believe we also played in ‘Quasimodo’ a bit later, the same venue we will perform at this time around. We came to Berlin quite a lot in recent years and it is one of my favorite cities. One of Mezzoforte’s recent records was partially recorded at Hansa Studios and we have played at the beautiful ‘A-Trane’ a few times. The Berlin Spectator: What can Berliners expect at this year’s Mezzoforte gigs in Germany and all those other countries? Eyþór Gunnarsson: We will do what we always do, which is to play our music with conviction and joy. The repertoire will consist of a mix of ‘greatest hits’ and some more songs from our catalog which we choose carefully. We always do our best to keep it fresh, by making sure there is a lot of space for improvisation. No two performances are ever the same. Mezzoforte’s touring plan can be accessed here.